Believe in yourself, you who are created in the image of God. Most of us have heard positive statements as we grew up: You can accomplish anything you want to if you put your mind to it, you are a good person, you played a good game, you were nice to your friends when playing with them et on and on. Many have unfortunately also heard the reverse negative comments from others as you grew up. Success in life begins with liking ourselves. It is similar to the analogy of being on a plane and putting your oxygen mask on first then on your children. You need to believe in yourself, take care of yourself before you can give and serve others. I am participating in a personal development program called #MKMMA (Master Key Master Mind Alliance) or #MKE (MasterKeyExperience). This program is based upon these three texts: Think and Grow Rich by Napoleon Hill, Og Mandino’s book The Greatest Salesman and not least of these which is the Master Key System by Charles Haanel. This program teaches us how to utilize the various learning methods available to each of us to help us form a new mindset, a new belief deep within our subconscious mind. This is the part of our brain that truly rules our world, whether you know that or not. Read this passage slowly and digest what it is telling you. In the Master Key System: 1-35 it states: A majority of mankind lives in the world without; few have found the world within, and yet it is the world within that makes the world without; it is therfore creative and everything which you find in your world without has been created by you in the world within. Yes, you may have a negative self-view due to the environment you grew up in or due to personal experiences during your life journey or an illness or whatever situation that formed your self-view. You can change that self-view to a positive self-awareness. Sit and think about this as well. Did you know that you are whole, perfect, strong, powerful, loving, harmonious and a happy individual? You Are! 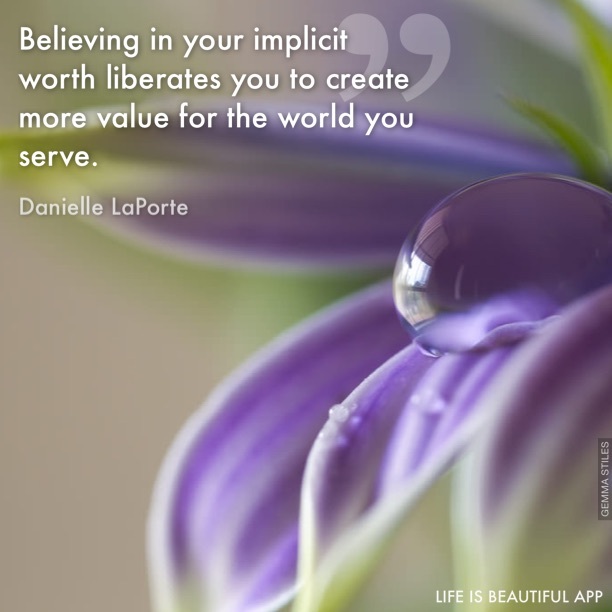 You have the world at your fingerstips, well not so handed to you on a silver platter but rather if you are willing to work at changing your subconscious mindset. Have faith within yourself, you can do it. You can change your life’s future if you feel you would like a different one than you see for yourself on this day. You have to make a decision. You have to deep down want something different for you and/or for your family. Are you ready and hungry for this change? Yes, I know change is a scarry concept that conjures up all types of thoughts, scenerios and a sick feeling deep inside. Yet if you keep doing what you have been doing, nothing will be different in your future. This takes courage and I have shared this before: “Courage is the door that can only be opened from the inside.” Terry Neil. I know you can muster up the courage to change your future trajectory. We will help you. #MKE will help you by providing the foundation and friendly, tough love support that you need. I create new habits and become a slave to my new habits. I begin every day with love in my heart. I persist until I succeed. 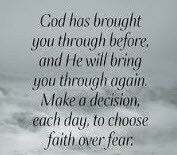 This MKMMA program will provide the self deep seeded faith foundation, you need to change your future trajectory, for your success, whatever that may look like. Are you ready to reach out for the support you need to make change in your life? It is okay to ask for help. I know that is a difficult task. #MKMMA will provide the help you need to create a new mindset. I wish for you a very happy, harmonious, joyous and successful 2016. You can do it, or Just Do It as the ad states. I have faith in you. Have you heard of either this book written by Og Mandino or Norman Vincent Peale? If not, today you receive a gift. I will share with you about both of these individuals, incredible successul gentlemen and how their words of wisdom can help anyone begin again, as any starting point is the right starting point. I will also share with you briefly about my story. So don’t leave yet, keep reading. 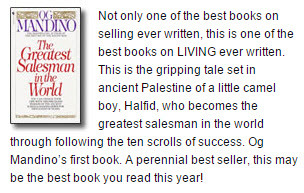 Og Mandino is the most widely read inspirational and self-help author in the world today. In 1976, at the age of fifty-two, he shocked the publishing industry by resigning his presidency of Success Unlimited magazine to devote all his time to writing and lecturing. Thousands of people from all walks of life have openly credited Og Mandino with turning their lives around and for the miracle they have found in his words. The principles that Og Mandino teaches are tried and tested in his own life. Many are surprised to know that at 35, Og was a wandering derelict–a hopeless alcoholic who nearly spent his last few dollars on a suicide gun. He describes his early life as never being more than a few paces ahead of bill collectors. When he finally hit rock bottom, Og credits books, both modern and classic, with rescuing him. He was particularly moved by Success Through a Positive Mental Attitude by Napoleon Hill and W. Clement Stone. Within 10 years using the principles he had learned, he was executive editor of Success Unlimited Magazine and the published author of his his first best seller, The Greatest Salesman in the World. As he learned skills and attitudes that helped him succeed, Og was anxious to share them with the world. This led to more books, lectures, and speaking engagements. At his death, 1996, he was among the most sought-after speakers in the world. Best known for his book The Power of Positive Thinking, Dr. Norman Vincent Peale became a pioneer in the self-improvement industry, helping millions to believe in themselves and achieve success and happiness by harnessing the power of positive thinking coupled with positive action. His bestselling book, The Power of Positive Thinking, is one of the top selling books of the twentieth century. Dr. Peale was the recipient of many awards throughout his long and illustrious career, including the Presidential Medal of Freedom. His philosophy and books are based largely on his pioneering work with the Religio-Psychiatric Clinic of the American Foundation of Religion and Psychiatry, of which he was president. He was married to his wife, Ruth, for more than 60 years. They had three children. Norman Vincent Peale died on Christmas Eve, 1993 at the age of 95. Dr. Peale tackled the day to day problems that are relevant for everyone, then presented dynamic formulas for working through and dealing with those problems by changing our thinking process and tapping into our faith. One of the most widely read inspirational authors of all time, he has helped millions of people to develop increased quality of life and happiness. I am a Registered Nurse having worked in healthcare over 35 years, the first 17 in hospitals and the past 18 as a business owner working out of my home. I have been successful as a business owner working with school districts all over Colorado helping them create programs to introduce high school students to the healthcare professions. I have touched young adults lives, that makes my heart soar. I have received awards from the CACTE (CO Career and Technical Educators Assocation), and I consider myself to be the eternal optomist as well living life with a positive attitude. Yet, I have not acheived my financial goals. I grew up on a farm working with my father in fields not in poverty, yet not in a wealthy family. Financial education and how to obtain wealth was not part of my training. My Mother was a positive individual and I learned from her that a positive mental attitude and kindness to all was extremely important. Fast forward to today: 2016 having been a successful Health Education Consultant 18 years and yet I have not met my personal financial goals and/or have created the legacy I envisioned that I would leave for my children/grandchildren, women/girls locally & worldwide and/or for my church family. Yet, now I am on track thanks to the MKMMA program. I have tried Network Marketing over many, many years and over past 15 weeks in this MKMMA program I now understand why I have self-sabbatoged my own success. Thank you for hanging in there to the end of my blog post today. What you are today is not important…for in the runaway bestseller, The Greatest Salesman in the World, you will learn how to change your life by applying the secrets you will discover in the ancient scrolls. In this MKMMA program Mark and Davene will introduce you to these scrolls and many other life changing concepts. Scroll #1: Today I begin a new life. Are you ready? Today we embrace and welcome 2016. The new year, potentially new you, a time to begin again. Will you truly embrace this challenging option? “You cannot appreciate the light without experiencing the dark. AND you can’t grow without adversity. So since I wish you tremendous GROWTH in 2016, I also wish you the experiences that are required for the growth to occur. I am not wishing anything physically or emotionally unhealthy for you, myself or anyone on the planet. But I am wishing you healthy growing pains because most people do everything they can to avoid the pain of growth. And yet, they expect to grow!! Be more committed to your growth than you are to your comfort and 2016 will be AMAZING! Your LIFE will transform in ways you can’t currently imagine. That’s what I want for you in the new year.” This excerpt if from a blog I receive from Coach Sean Smith. It summed up my feelings and my experiences participating in the MKMMA growth program. Let’s now look at someone’s life example and relate these words and concepts above to someone who acheived success in life fighting his way through adversity, Rudy. Have you ever heard of Rudy? There is a movie made about his life. You should watch it and invite your family to watch it with you. Rudy was a young man who grew up in a blue collar family and was expected to follow his father’s footsteps into the factory life. His father had worked his way up to a manager position. But; Rudy had other ideas. He wanted to become a Notre Dame football player. Talk about adversity staring him in the face: admittance was the first hurdle, and there follows the other daunting tasks such as navigating the walk on policy/procedure to the ND football team, try-outs, days of pain and agony, taunting from current players and others who heard of the dream of a young man with little football experience and less than herculean physical attributes. No one understood the power of his desire and heart passion!! BUT Rudy kept going back every day to the tryouts, to the daily practices, he got trampled and was bloodied, but; he knew that was part of his progress. To show the coaches his heart through his demonstration of determination and how he would be a great ND football player. Yes, he made the team and admiration of the team working through his adversity and daily pain as he accomplished his worthy goal to be a ND football player. Did he ever play? That is for you to learn after you watch the movie. I mentioned Earl Nightengale above, have you heard of the Strangest Secret? If not go to YouTube and look him up and listen to his video. Rudy, whether he knew it or not was following Earl Nightengale’s philosophy, “Doing something deliberately towards a worthy goal”. Rudy knew he was going to become a ND football player even when everyone around him said it was impossible. He made it happen. That is the key as Earl Nightengale also states: “Those who are successful get up every morning and inspite of the circumstances they are faced with look for specific circumstances and make them happen”. Rudy made it happen! In conclusion Earl also states that every person is sum total of his thoughts. We are guided by our minds. We become what we think about. Thank you MKMMA for reinforcing this concept. Rudy created a success mindset seeing himself as a ND football player. He was willing to pay the price. Are you? Your new life can begin today, January 1, 2016. You just need to make the choice. I ask you to consider to be more committed to your growth than you are to your comfort and 2016 will be AMAZING! Do you make New Year’s Resolutions? And then not keep them? Instead of the regular ones most everyone considers such as loose weight, make more money, be nice to others or …Do you dream of a better life? How about change from the inside out? As the poster above states there’s always so much more to know, so much more to discover. Over these past months I have been experiencing that the amount of information, self-growth is immense and challenging. What is that saying again? No pain no gain? I am not working to loose weight. I am working on a much more important process. The process of self-education, self-growth from the inside out. My new plan for 2016 is to create a personality and character makeover. Have you ever considered that maybe if you work on yourself from the inside out, your life may be better for you and all around you? Are you up for the challenge? Don’t you think if your change occurred from the inside out then all of your other goals would fall in line as well? Don’t agree? Learn what I am learning. I would like to share it with you and help you get on the train to self-discovery and self-improvement. I encourage you to get on board the self-improvement train as it will be leaving the station in 2016. 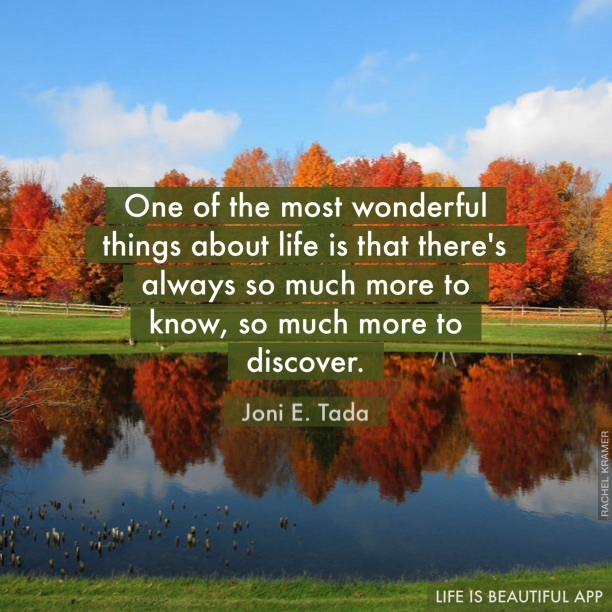 Are you willing to know more about yourself? Are you ready to experience a ‘life changing personal growth course’? Dig deep that inner courage is within you. Are you willing to invest in yourself…six months to a better you! 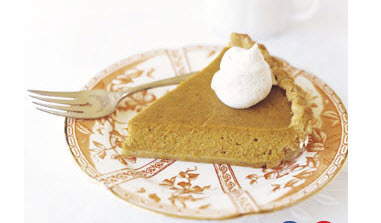 Week 12: Do You Eat Pumpkin Pie for Breakfast? My blog this week is about overcoming Overwhelm and living by the seven laws of the mind. This has been an incredible overwhelming week. I am writing grants for a project for my women’s organization and need to update DUNS and SAM’s registration. I need to update an address in DUNS and because we use my name for our service organization project I need to add my USPO address to the DUNS site. Yet, I do not have any mail with my name and our service organization name on it so I have to mail two letters to myself with our service organization name on them and then scan them to send to the DUNS support staff before they can change the address. So here is the extremely negative thought turned into a positive thought thanking George at DUNS support center for working at the DUNS center and helping all individuals to navigate the government protocol. Thank you Law of Substitution. I sent an email to a friend asking a question and sharing a thought and after I sent it, I realized that was an opinion I sent. No retracting an email. I just retracted it in my head . With the increased stress with grant writing, consulting work (which is good and necessary for financial survival) and my zest for MKMMA practice, my Law of Relaxation has not been working very well this week. All of the sitting so far and the skills practiced to date to produce a calm state of mind was a mute point many days this week. I start each day with love in my heart, Today I begin a new life and I persist until I succeed, Thank you Og . Law of Practice was still in effect most days. The readings, the listenings to my recordings, 15 min in mirror with my 1 sentence DMP were mostly all good. I persist until I succeed. I was stuck in the snow in a cul-de-sac this week and broke a dust cover piece under front of car as I was pushed out. The Law of Substition came in extremely handy here and all week. I sent a prayer of thanks to God that the damage was not worse. Oh, this comfort food tasted so good this morning. Thanks to Og’s scroll’s and the Mental Diet: I know that Today I begin a new life, I start each day with love in my heart and I persist until I succeed. 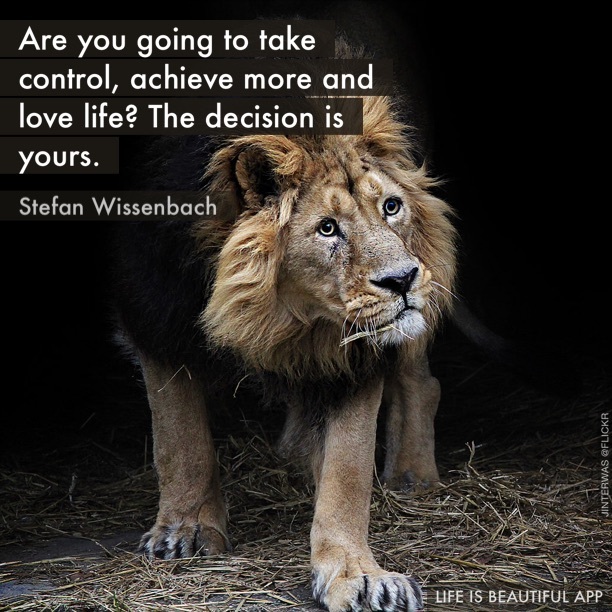 Week 11: Are You a Lion or a Sheep? We have been reading Og Mandino’s ‘The Greatest Salesman’ and in it are profound theories called Ancient Scrolls. I will share a few before I begin to introduce you to the topic of this blog as it will lay foundation for this blog post. The Scroll #1 helped us understand that ‘Today I begin a new life’ and included in this is the statement ‘ I create new habits and become a slave to my new habits’. These scrolls and the MKMMA program are providing us the foundation to create the mental strength to push forward through thick and thin as we determine what our basic purpose in life is AND what we truly want to achieve in our lifetime. 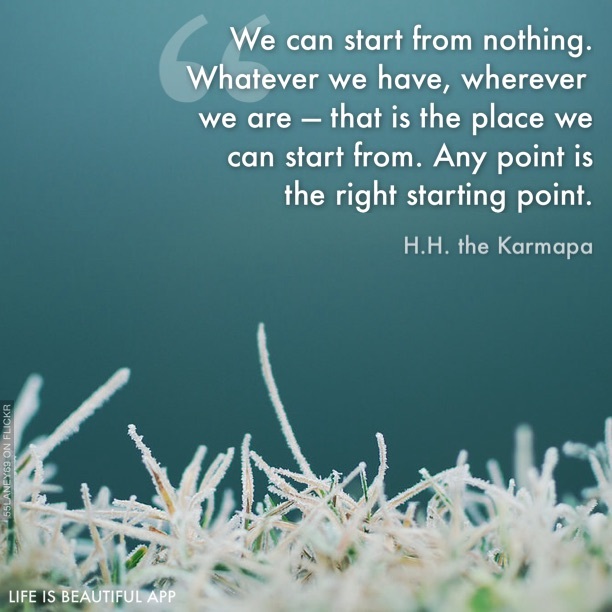 Have you given any thought to what your purpose is on earth? 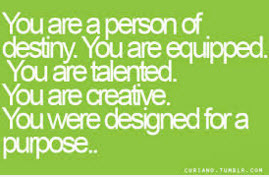 Have you written out your definite major purpose? What is the legacy you choose to leave behind? There are so many questions to answer and a clear path to help us all find the corrected bridge to cross as we pursue our new life journey. This MKMMA program helps us do that. The Scroll #2 helps us to view the world through clear glasses not rose colored glasses as it teaches us to ‘Greet each day with love in our hearts’. Be kind to all you meet in life, think positive thoughts and say a pray for those you pass by or silently tell them you love them and care about them. Our world hungers for more kindness. Begin this Christmas season with a goal to share kindness with all you meet, every day, in some way. Pay for the coffee or tea of someone behind you in line, provide $5 or $10 at the grocery store for a mom behind you in line, to help pay for her groceries or simply tell someone you appreciate them. Say hello to a person who appears homeless. Everyone has a need to be recognized. Small acts of kindness can change your day and especially that of others. The Scroll #3 leads into our title. ‘I will persist until I succeed’. Each day we are tested and encounter challenges, how we view and deal with these situations determines our character. Winston Churchill said: “Kites rise highest against the wind…not with it”. We do not grow in character or strength of heart purpose by running away from our challenges, huddeling in a group or expecting someone else to take care of our issues. Og states that we are not delivered unto this world in defeat, nor does failure course in our veins. We are not a sheep waiting to be prodded by the shepherd, We are a lion and we refuse to talk, to walk, to sleep with the sheep. I will hear not those who weep and complain, for their disease is contagious. Let them join the sheep. The slaughterhouse of failure is not our destiny. He is talking about our strength of character and how we choose to live our lives and most importantly what we choose to do to change our future. He goes on to remind us that the prizes of life are at the end of each journey, not near the beginning; and it is not given to us to know how many steps are necessary in order to reach our goal. This is the part I embraced: …success hides behind the next bend in the road. Never will I know how close it lies unless I turn the corner…unless I turn the corner. I will not be deterred from my intended future. Will you? We gather our inner strength by being willing to step up and state that we want something different in life for our selves and our families. We need to dig deep for that inner courage to change the tragectory of our life stories. We can do that, no matter how difficult you think it may be. We all need to be willing to ask for help and to do the work to create a difference. This MKMMA program provides that assistance and provides the foundation for us to become open-minded to change and how to create that change. I will persist until I succeed. Your clear vision helps you to ignore the obstacles at your feet and keep your eyes on the goals above your head, for you know that where the dry desert ends, green grass grows. Each failure we encounter brings us closer to our successes. Each misfortune we encounter will carry in it the seed of tomorrow’s good luck. We must have the night to appreciate the day. We must fail often to succeed only once. We are not complacent and we do not allow a day to end in failure. We know that one of the greatest principles of success is; if I persist long enough I will win. ” Courage is the door that can only be opened from the inside” stated Terry Neil. So are you a lion or a sheep? Will you turn the corner? Did you know that knowledge will not apply itself? So what does this have to do with the title of this blog post? Response_Ability? Let’s start with Responsible: expected to account; answerable; able to answer for one’s behavior; reliable or dependable. So now we lets review Responsibility: a condition or fact of being responsible; obligation; accountability; a person or thing that one is responsible for. Now Response: something said or done in answering or replying; any reaction to a stimulus and last but not least Ability: power to perform; ability to achieve; talents or gifts. We have been provided gifts while participating in this MKMMA program. 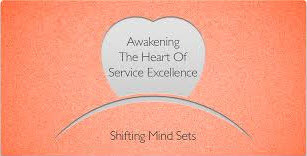 The gifts are rendering in us a new mindset which means we are changing our subconscious and the way we do business on a daily basis whether for personal or business achievement. Yes, we are responsible for our lives and how we act and function each day. Most folks use a road map or their GPS guide on their phone when beginning their journey. They have an idea of where they want to go and the map or GPS keeps them on track. Don’t you also have to use the correct route directions? MKMMA has provided us the corrected road map for our life journey. A major part of this new road map is learning the meaning of this term Response_Ability. This literally means we have the ability to respond to any situation anyway we choose. Once we learn to dictate to our subconscious the right way to process information and think though situations we can also learn to be responsible individuals, ones that are dependable day in and day out to accomplish tasks needed to move us towards success. We are responsible for our own daily behavior. This discipline provides us the corrected road map to our success in life, whatever that is for each individual. Our thought habits dictates our action habits and our results. The Master Key System has taught us and we’ve realized, as a group, we need to get the ‘old’ furniture out before we can bring in ‘new’ stuff. We need to learn how to change our thinking. We all know knowledge won’t apply itself. And that is where this term Response_Ability comes in to play. When we encounter various situations each day we can choose how to respond to each situation. We can also choose to not put ourselves into a potential negative situation or an uncomfortable situation that may hinder our forward progress in life. We have the ability to choose how we respond to each situation we encounter and/or choose to encounter in our daily lives. 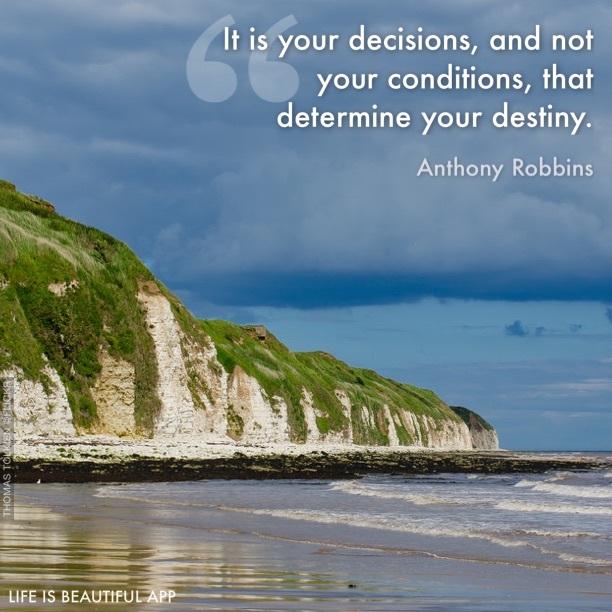 This gives us the power to create our own outcomes in each of our lives. You can have this power too. We learn to apply this mental power we have gained that enables us to make correct directional decisions that affect our life journey’s. Are you ready to learn how to gain this power to create a new reality for your future self and your family? Are you ready to live by this new definition of Response_Ability? 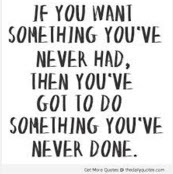 Are you ready to step out of your comfort zone for something better, for an improved life? We all have God given abilities each with unique talents and we are all responsible for our own lives and daily actions. Week 23: Do You Have Regrets in Your Life? Week 22: Do You Let Fear Intimidate You? Week 21 What is your legacy? Week 20: Do You Really Follow Your Burning Desire? Week 19: Is it too late to claim your personal power?